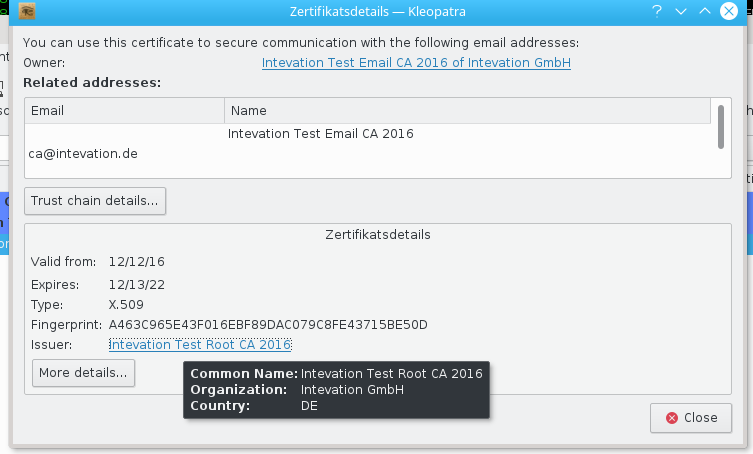 In Kleoptra's Certificatedetails dialog for S/MIME the issuer certificate is shown as a link. Also the Name and E-Mail split in the table looks ugly. While technically they are on different UserID objects it would be prettyer to combine them.